In-Place Upgrade to Windows 7! PCmover makes the process of setting up a new PC simple, using a step-by-step "wizard-like" process. Windows 7 Upgrade Assistant is in the process of being phased out. 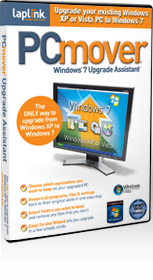 If you purchased a physical copy of Windows 7 Upgrade Assistant you can download the Windows Upgrade Assistant User Guide here.